A forum discussion featuring Appleseed Executive Director Becky Gould, State Senator Jeremy Nordquist, and Kyle Carlson of Planned Parenthood of the Heartland and moderated by Becki Brenner, Executive Director of ACLU Nebraska. Sponsored by the National Council of Jewish Women Omaha Section. Sponsored by the First-Plymouth Peace & Justice Team. A presentation and discussion with Appleseed health care Staff Attorney Jerusha Hancock and Mark Intermill, Advocacy Director at the AARP Nebraska. Sponsored by Nebraska Appleseed and the NAACP Lincoln Chapter. Nebraska Appleseed is partnering with the UNL Progressive Student Coalition to sponsor the 2012 Nebraska Student Organizing Conference. The fifth-annual youth organizing conference will be held in Lincoln at the University of Nebraska-Lincoln’s Jackie Gaughan Multicultural Center on Saturday, October 20 and Sunday October 21. This year, Campus Camp Wellstone of Wellstone Action will facilitate the two-day training. Registration is FREE and can be completed online: http://neappl.es/ccwellstone Please register by October 13! 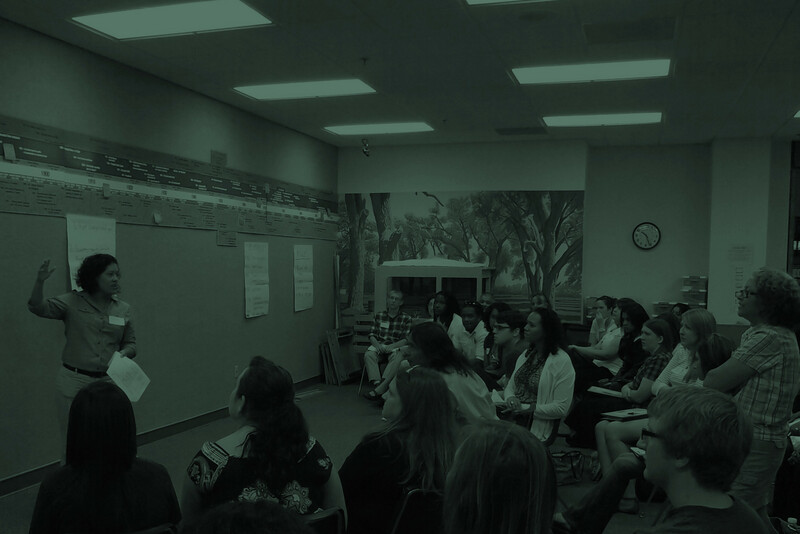 Campus Camp Wellstone is a 1½ day grassroots organizer training designed for college students and young people. The program is nonpartisan, and welcomes both experienced organizers and those who are completely new to activism. The trainers are young leaders currently working in community organizing, labor, and nonprofit organizations. The training is geared toward young Nebraskans but is open to anyone interested in further developing their grassroots organizing skills to win on issues that affect their community, campus, or quality of life. Wellstone focuses on concrete skills, like the nitty-gritty of campaign planning, grassroots organizing, and message development. They also teach students how to successfully recruit and retain volunteers and develop new leadership. Each year, Appleseed is fortunate to have a smart and energetic group of law students clerk in our office and learn about pursuing public interest law. Our law clerks come from as near as the University of Nebraska-Lincoln and Creighton University and from as far away as Georgetown, Howard, Wisconsin, Iowa and Missouri – many of whom have roots in Nebraska. Each clerk works closely with Appleseed staff attorneys in our policy areas – poverty, child welfare, health care, or immigration – and conducts legal research, drafts legal memos and policy briefs, provides litigation support, and participates in outreach events. Each student who comes into our office is passionate about pursuing public interest law, developing their expertise, and using their experience to inform their careers and to help advance the common good. Last Thursday, more than 325 people celebrated Nebraskans who stand up for justice and opportunity for all at the 2012 Good Apple Awards. her efforts in the Legislature to champion Nebraska children. Senator Campbell helped lead the fight to ensure all Nebraska mothers receive access to prenatal care and dedicated herself to leading the charge to fix the state’s broken child welfare system. The Nebraska Indian Child Welfare Act Coalition was recognized with the Seeds of Justice Award for their work to protect Native American children in the state’s child welfare system and ensure they remain connected to their culture. Carolina Quezada of the Latino Center of the Midlands, Sergio Sosa of Heartland Workers Center, and Willie Hamilton of Black Men United were the recipients of Appleseed’s Roots of Justice Award. The three Omaha community leaders brought their communities together to build a strong, diverse coalition to protect voting rights for all Nebraskans. Rachel Jacobson, Founder and Executive Director of Film Streams, was recognized with the Milo Mumgard Emerging Leader Award. Jacobsen’s work with Omaha’s non-profit film theater has provided an important platform for many diverse artists to make their voices heard and connect the community to stories that need to be told. Thank you to all of our 2012 Good Apple Awards event sponsors! At the Good Apple Awards last week, Appleseed debuted “Stand Up For Justice,” its second annual silkscreen poster exhibition combining art and justice. The exhibit, in partnership with Omaha graphic designer Justin Kemerling and Lincoln screen printer Jason Davis of Screen Ink, brought together ten Nebraska graphic designers to inspire people to Stand Up For Justice in their community: to tear down the obstacles – discrimination, oppression, and reckless indifference – that keep the poorest of us poor and further weaken those among us who are vulnerable. This year’s posters seek to inspire people to organize to create real change and work together to build a stronger community. This year’s exhibition includes ten 18″x24″ silkscreen poster designs with 25 prints each created by: Craig Hughes, Dave Markes, Doe Eyed, Jeremie Memming, Justin Kemerling, Kelsey Janda, Liz Hunt, Oxide Design Co., RDQLUS, and J. Curtis Rawlings. Poster prints are available for purchase online for $35 each. 100% of poster proceeds benefit Appleseed’s efforts fighting for justice and opportunity for all. Thank you to Justin Kemerling, Jason Davis, and all of the designers who donated their time, talent, and vision.